Kollywood No.1 Hero Dr. Vijay the crazy hero of kollywood is back to his place, this is been proved by his next flick Kaavalan, which has been sold at a record price. The star lost his charm due to the letdown of Sura. Even though he lost his fame at domicile market but his global market is safe. 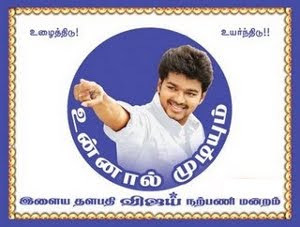 His fans are waiting for the release of Kaavalan. The movie is bagged by an overseas distributor Tantra films, at a greater price than regular. Kaavalan’s overseas right has been sold for Rs 6 Crore if the buzz is believed. The flick has brought the banner more than the usual price of the star’s craze. The local market at kerala it has been sold at a standard price of Vijay‘s film. The most attractive aspects of Vijay’s Kaavalan are Vijay and Asin are pairing up for the fourth time, Vijay’s Return with Siddique after 9 Years, Vidyasagar as Music Director, Bodyguard Storyline And Special Climax, last but not the least the film has two heroines Asin And Mithra with Ilayathalapathy Vijay. These attractive facets have fetched Kaavalan a record price in global markets.